Moderators, you'll notice a little difference from what a member sees. 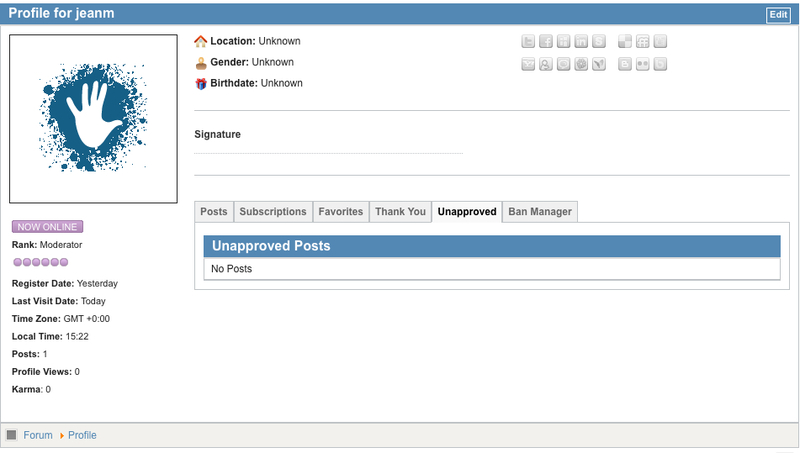 You still have Posts, Subscriptions, Favorites, Thank You, but you have Unapproved Posts and Ban Manager. Based upon how we run FM, I don't anticipate using Unapproved Posts or the Ban Manager very much if at all. In fact, I don't think any of us have experimented with either of them yet (maybe Zette has).